The Holy Spirit Gives Faith. When the Holy Spirit takes up residence within us, He gives us faith to believe God’s promises and to depend on Him for everything we need. When we use faith, like muscles that are exercised, it grows, allowing us to believe and trust God ever more fully. My friend, Doug travels by air a lot for his business. On nearly every flight, God places someone in the seat next to him who is either a Christian or has a desire to know about Christ. One particular trip gives us insight into the power of the Holy Spirit and how it helped Doug’s faith grow. On his way back from Germany, Doug was tired and prayed that God would not put anyone next to him. However, God, if You do, please help them to see You and not my impatient self. He sat in business class, and he watched the plane fill up. No one sat next to him. Doug is six five, so he was ready to celebrate at having the whole seat to himself. As the doors closed the seat next to him was still empty. Just as he was about to thank God for answered prayer, a young lady from the back approached. Oh no. Sharon went on to explain how often these things happened to her group because of their trust in God. Doug thought he had a lot of faith, but at that moment he felt like an infant in Christ, that he was sitting next to another Mother Teresa. During the flight she shared more stories about what Christ had done and how He always “showed up”—never early but always at the right time. Prior to that trip, Doug had prayed for God to help him grow in faith and trust Him more. How could he have known God would answer his prayer through the testimony of a young missionary lady? We never know how God is going to answer our prayers; more times than not, He answers in a totally different way from what we expect. The Holy Spirit brings to us a supernatural life, including our workplace dealings. He brings truth to light so as to guard against deception and provides heavenly wisdom to discern right from wrong. He empowers and counsels us so we may not become discouraged. He gives us grace that we might live a happy life and holiness so that we may overcome our self-centered natures. He gives us love so that we can be content. Unfortunately, not everyone who accepts the Holy Spirit accepts Him without reservations and conditions. Many believers are not willing to stop living as the world lives. And this includes the workplace. We receive the Holy Spirit but are unwilling to allow Him control over our lives. When the Holy Spirit checks us, too often we ignore Him, for what He’s bringing to our attention that needs changing interferes with our lifestyles. When we want something, we deliberately do not pray about it because we don’t want to be told no. Then, when crises come, we wonder why God allowed them to happen. The Bible says we must develop the mind of Jesus and live as He instructed. That is not possible if we refuse to accept the Holy Spirit’s checks and guidance. Not everyone claiming to be a Christian has the advantage. Many believers desire to live as the world does and reject the work of the Holy Spirit in every facet of their lives. As a result, they deny the advantage they could have. Living a Holy Spirit–led life does not mean we can’t enjoy nice things, have nice homes, drive good cars, and treat our families to luxuries. It does mean allowing the Holy Spirit free rein to check our decisions, and we are to pray continually for guidance. Our self-centered natures and pride will always fight for control of our lives; therefore, we must decide: How much control are we willing to give the Holy Spirit? And it is fitting for our discussion, especially where we work. 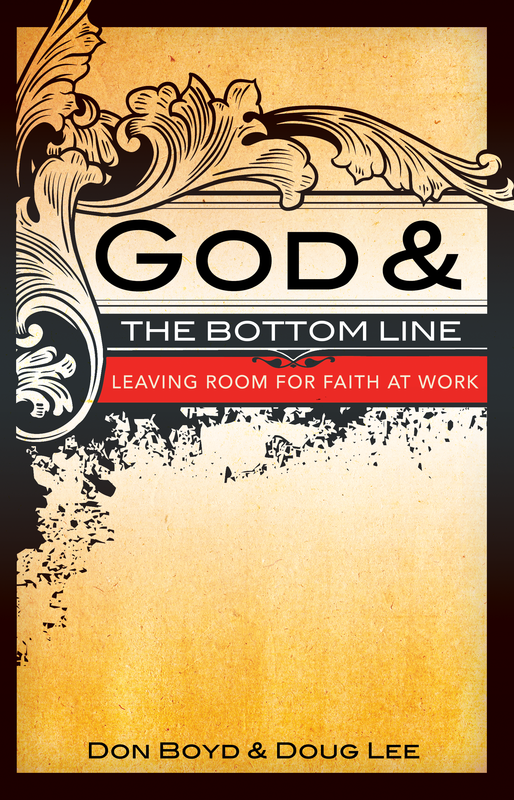 This was taken from our book: God And The Bottom Line. Available through Amazon! Are You Struggling With Salvation?